Yes, it's true. We finally have a storefront on the website. It's been a long time coming but you can now order online. It's easy, simply click on STORE in the top menu bar, select what you are looking for (Giclee Prints, Phone Covers, Cutting Boards etc), choose your image, choose the size and add to your shopping cart. We will ship to any address within two weeks. Why two weeks? We custom make in the studio each work for you. No "off the shelf" items here. Our Phone cases have become a big hit. The most popular cases are for iPhones. We have them for iPhone 4, 5, & 6's. The standard cases are of durable black rubber to protect your valuable phone with a image on aluminum on the back of the phone. Have a different phone? Don't despair, we can provide a case for most phones and tablets. Colors other than Black are also available. Call us and we'll make a unique case for you and get it right out. 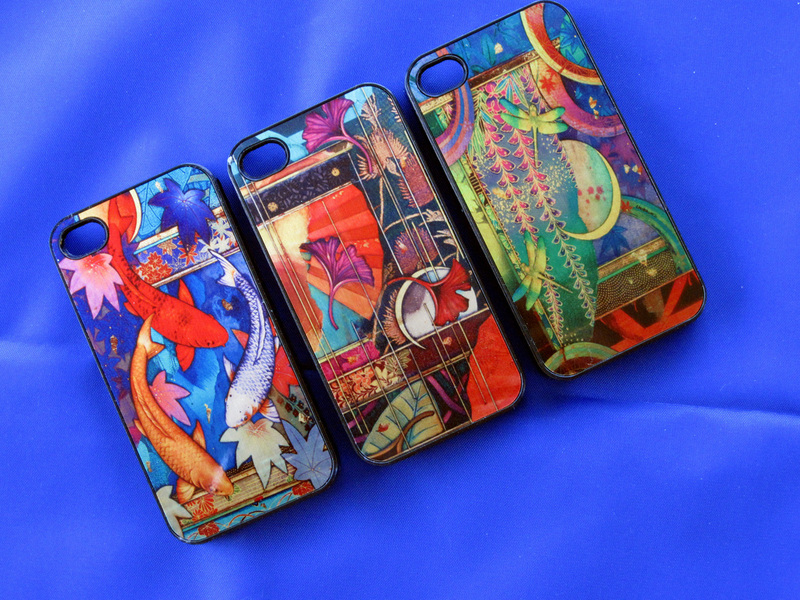 iPhone cases are in the new online store. All phone cases are $35 plus shipping. You won't find anything like these in you local Apple store. We now have 8"x11" tempered glass cutting boards for your kitchen needs. Choose any of Joyce's images to customize your kitchen counter. These have proven vary popular as gifts (for a friend or relative, or a treat for yourself). We normally sell out at shows but you can order in our new online store. They are $45 plus shipping. Look under the gifts gallery for details.